Dental health month is common activity which you can find in many preschools. This activity is performed to support the children health program. The first national children’s dental month was held in Cleveland. It is now held nationwide every February. If you are planning to hold dental health month preschool, here are some aspects to consider. 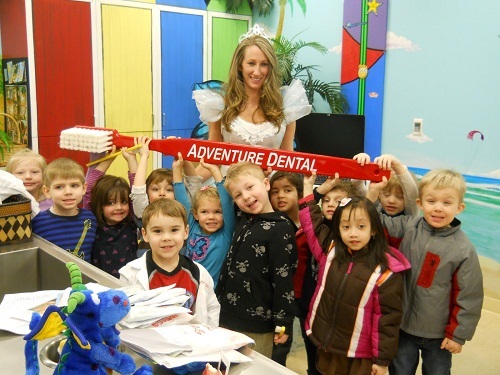 The first thing to remember is dental health month preschool is all about the dental health. However, since it is for preschool students, you need to make it fun and interesting for them. It is a good idea for you to involve the parents and caregivers to give demonstration of dental health and regular dental checkups. You need to inform the children and parents to know that February is the dental month. There will be dental health themed bulleting boards in February. You can use the posters which are given by American Dental Association. As another option, you can also create the poster by your own. Do not forget to include the colorful pictures and the list of activities in your class during the month. Encourage parents to join the program. You are recommended to provide the list for local dentists in the area and ask the parents to take active role in oral health of their children. Dental health month preschool is also good moment to bring the dental treatment to your students. It is known that many children are scared of dental visit. Invite dentist or dental hygienist to your classroom. You can give understanding to your students that dentists are not something to be scared of and ease their fear. During their invite, the dentist or dental hygienist should bring their tools, goggles, and face mask which are usually worn during examination. The dentist can give explanation on the usage of the tools. Ask the dentist to explain about dental health, cavities, and tooth decay. During dental health month preschool, it is also recommended for the dentist to give proper demonstration on brushing and flossing. You should give times for the children to ask questions. Create fun and interesting activities to introduce the dental health. You might want to print some food pictures and ask your students to choose which foods are healthy for teeth and foods cause cavities. You can make a game to help your students learning about it. Make sure you give explanation on the importance of brushing and flushing after eating foods to prevent the cavities. The main concept of dental health month preschool is introducing the dental health through fun and educating activities. This entry was posted by mimin on February 10, 2013 at 5:45 am under Dental Scholarships. Tagged dental health month 2013, dental health month academy, dental health month childcare, dental health month coloring pages, dental health month daycare, dental health month early childhood, dental health month kindergarten, dental health month lesson plans, dental health month preschool teeth, dental health preschool month february, health month preschool american dental, preschool dental health activities, preschool dental health month activities, preschool dental health week. Both comments and pings are currently closed.